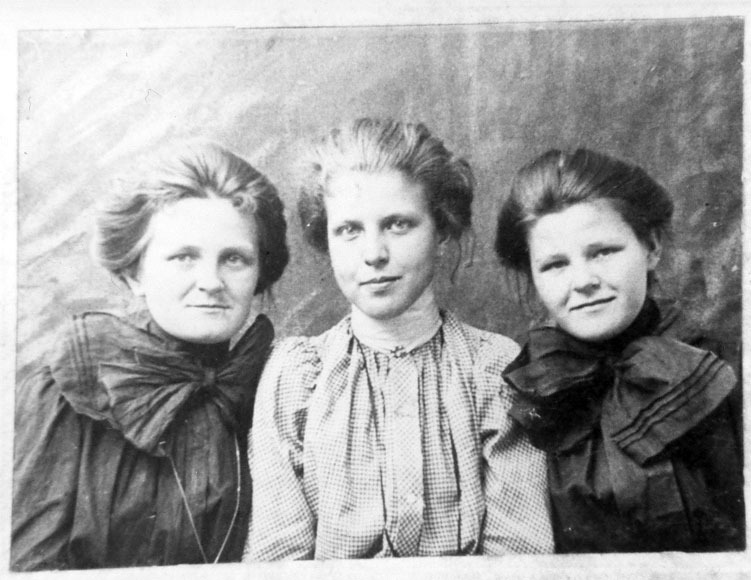 From left to right sit Lucy Carter, Mary Alice, and Fannie Tyree Kennedy. Along with a younger and older brother, the girls were the children of John Henry and Capitola Bowles Kennedy. At the young age of 22, Mary Alice died in an “accident,” as listed on the back of the photograph. The other two sisters went on to become part of the first graduating class at Mineral High School and to attend Mary Washington College. As some of the earliest Louisa women to vote, Lucy Carter registered on October 20, 1920, and her sister, Fannie, followed suit in July of 1921. All items in our archives have been donated to The Louisa County Historical Society with express permission to use them only for not-for-profit purposes of education and individual research. We make them available online to further those ends. Anyone wishing to use images online or in printed publications must obtain express written permission to do so from the Louisa County Historical Society and the legal copyright holder. Users assume full responsibility for disputes arising from copyright violations or invasions of privacy. William Kiblinger , “The Kennedy Sisters,” Piedmont Virginia Digital History: The Land Between the Rivers , accessed April 25, 2019, http://piedmontvahistory.org/archives14/index.php/items/show/312.